I love my husband and my kids. I really really do. Who wouldn’t really? There is hardly a thing I love more than each of them. Except maybe a clean kitchen. That ranks a close second in my heart. 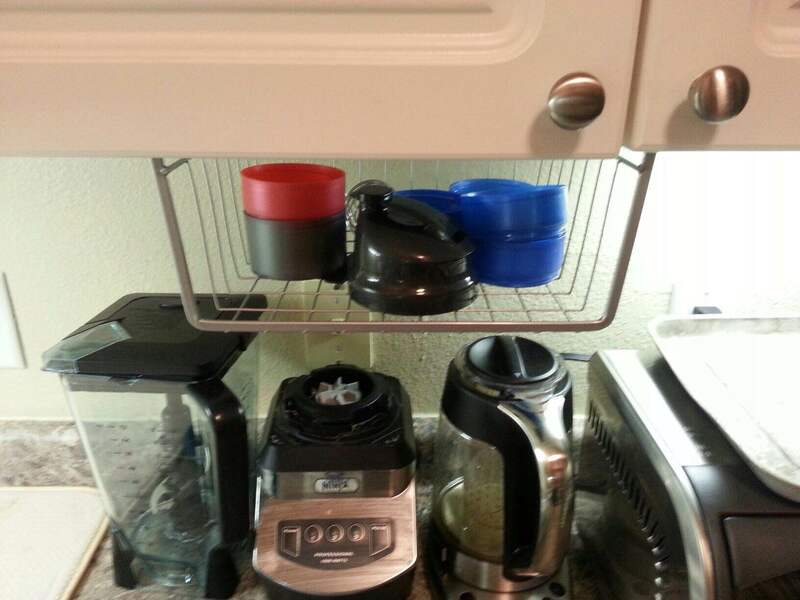 Nothing says home to me like my clean and organized kitchen. 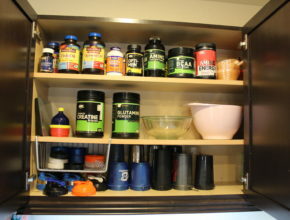 A dirty, messy, cluttered, disorganized kitchen makes my skin crawl. And if it’s my own kitchen that came to be that way, stand aside I am coming through to fix that mess! 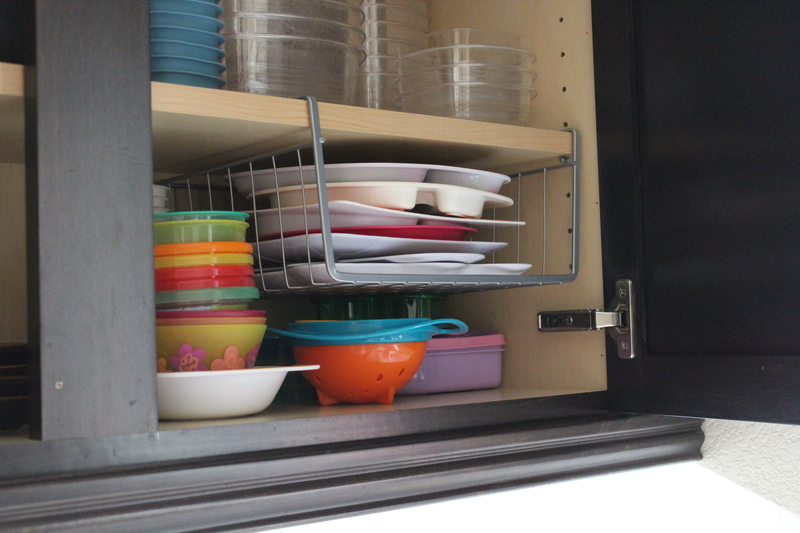 Messes happen and can be cleaned pretty quickly and easily. Disorganization though, that is a whole other beast. 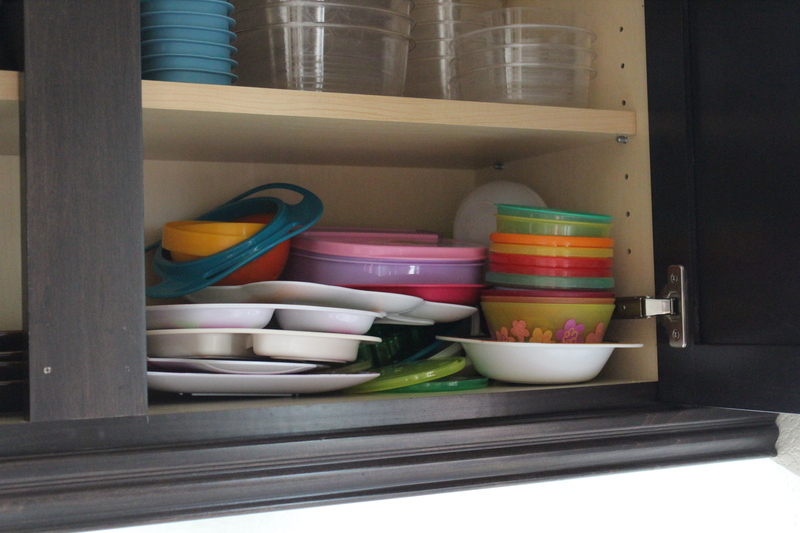 The beast that ruled my cabinets for a while was one of odd shaped dishware. That darling husband and those adorable children of mine come with some of the most ridiculous dishes. 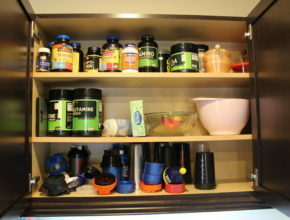 I’m talking about my husband’s workout shaker bottles and the plastic plates and bowls for the little ones. Each time I needed something I felt like Indiana Jones raiding the lost ark and capturing the idol. Things were stacked so precariously that a slight imbalance would cause a clattering catastrophe. I would make a silent plea with my cabinetry to not create an avalanche every time I reached in for something. One day enough was finally enough. The Container Store is my destination for all things organization. So off I went and found these beauties. 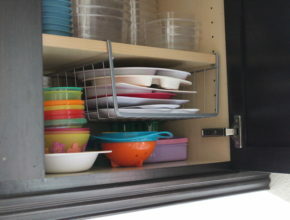 Under shelf racks that give that extra bit of shelf while containing what goes in at the same time. Brilliant and worth every penny to my sanity. They set right in, stay put, look great and solved my problem in a flash. 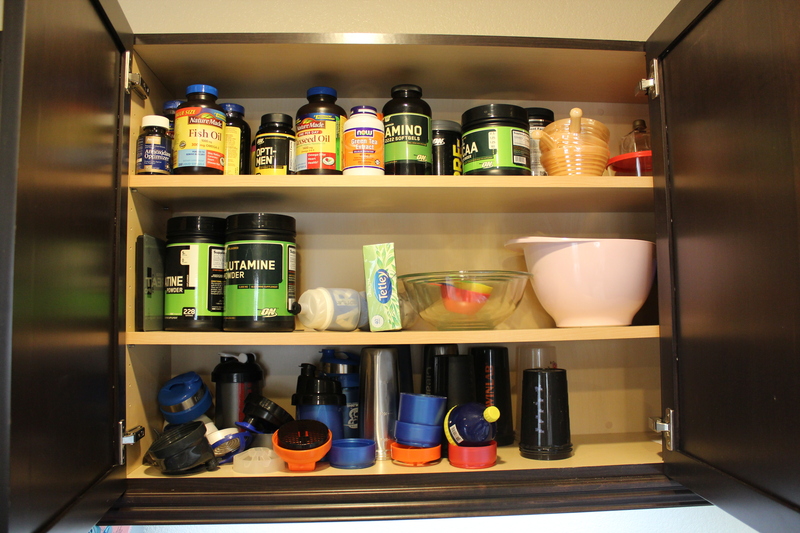 Give it a try and you’ll be in organized bliss. 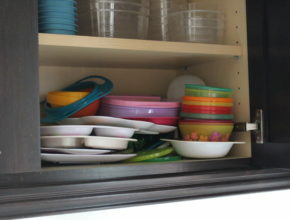 Now instead of fearing the lion’s den of dishes, my cabinet is a cave of organized wonder. 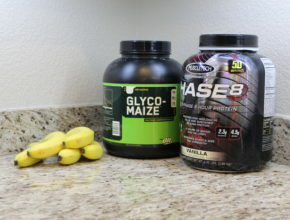 Once I had my husband’s shaker bottles under control, it was time to also tackle those gargantuan holographic monstrosities that his protein comes in. You know the ones I mean, the kind that are all flashy and labeled with their promises of delivering every body builder’s nutritious needs. To me though they scream hideous canister that will be the focal eyesore in your kitchen. Time to take charge and change that image. Again, The Container Store to the rescue! 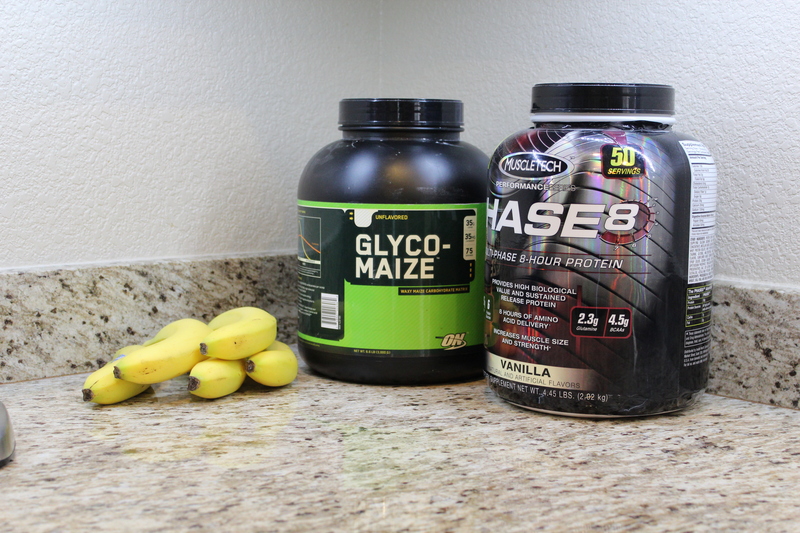 I found these giant glass jars that were plenty big enough to house the protein and they even matched my kitchen. Score! 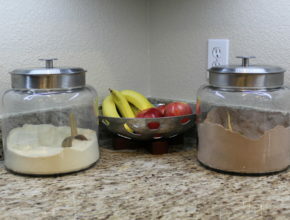 They become expensive if you need several of them, but to counter the high cost I decided to only buy the jars for the couple my husband used most often. The rest were found new homes in the pantry. 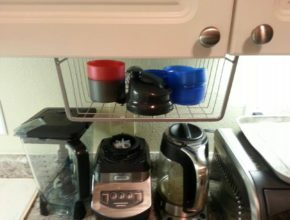 We have been using them for a few months now and my husband even says they are easier to use because the lid lifts off rather than the screw tops the original plastic vessels had. Pretty and easy to use, who wouldn’t want that? 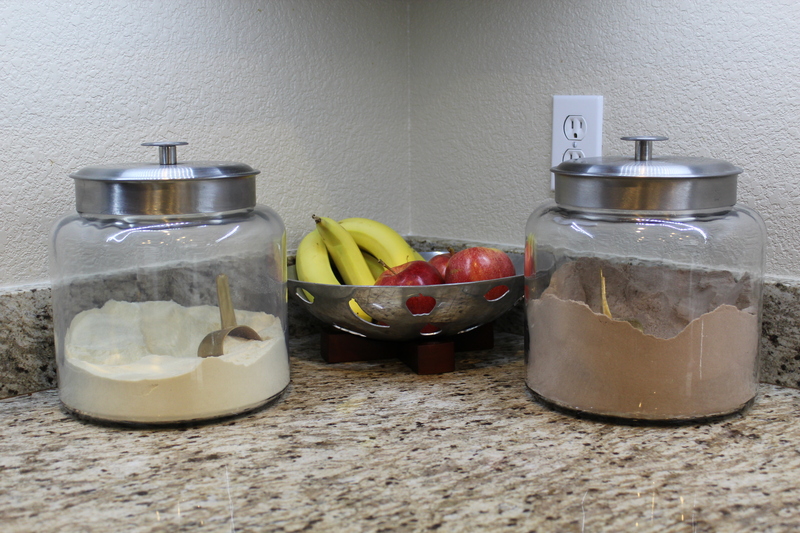 I have moved my sugar and flour to jars. 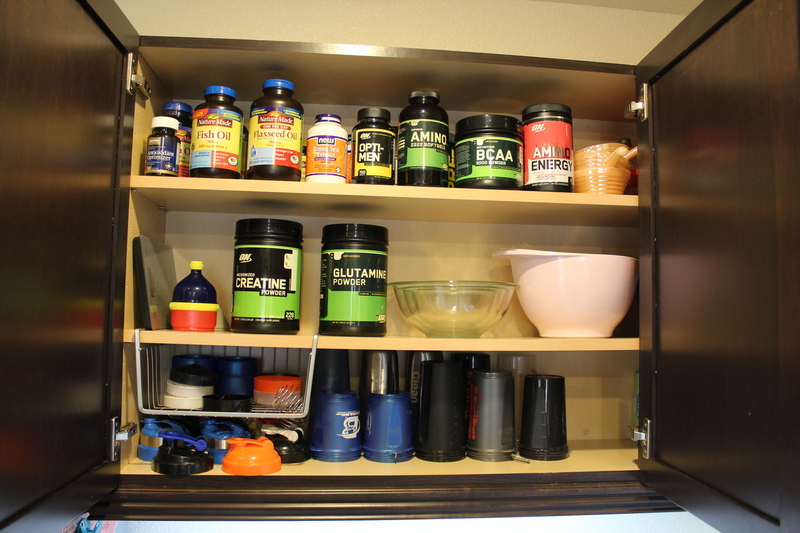 I don’t know why I didn’t think to move the protein powders also. Thanks!